The hotel was renovated in 2010. The hotel features 105 accommodation units. Guests of the hotel are welcomed in the lobby, which has a 24-hour reception and a 24-hour check-out service. Amenities include a cloakroom and currency exchange facilities. Internet access (for a fee) and wireless internet access (for a fee) are available in the public areas. Gastronomic options offered by the hotel include a restaurant and a bar. A garden is among the features contributing to a pleasant stay. Additional features of the hotel include a TV room and a playroom. Guests travelling in their own vehicles can make use of the available parking spaces. Among the additional services available are medical assistance, room service and a laundry. All rooms feature air conditioning, central heating and a bathroom. In most rooms, guests can enjoy a balcony with pleasant views. Many accommodation units offer beautiful sea views. A double bed is provided in the carpeted accommodation units. A safe and a minibar also feature. The accommodation units offer a range of amenities, including a mini-fridge. Each accommodation unit offers a telephone, a TV and wireless internet access. Each of the bathrooms features a shower and a hairdryer. In a slightly elevated position, the hotel enjoys wonderful views and is only a 15-20 minute walk from the resort centre along the seafront. The town beach is closest and this is roughly 700 m away while the yacht marina is only 250 m from the hotel. Restaurants, cafés, bars, a supermarket and a new shopping centre completed in 2012 are all within the marina. The closest public transport connection is about 50 m away and the Kusadasi bus station is 2.5 km from the hotel. Adnan Menderes Airport is approximately 70 km away. The hotel offers an outdoor pool and a children's pool. 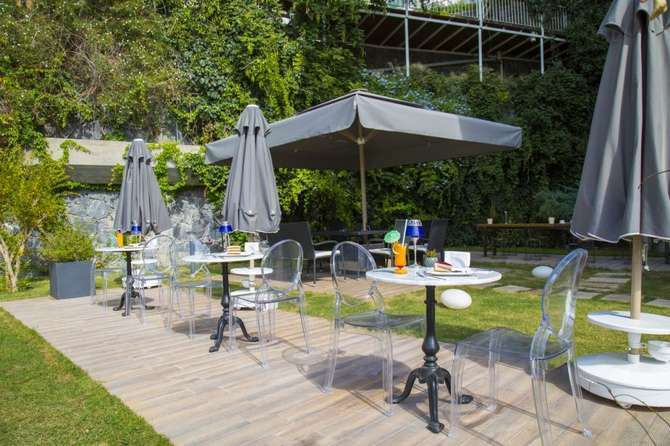 A sun terrace, sun loungers and parasols are available. The poolside bar serves a selection of refreshing drinks. Active guests have various leisure options to choose from, including basketball, a gym, table tennis and darts. A wellness area with a solarium is available.